Thanks for your kind words regarding my card line. I enjoy humor in any form and make it the center of my life. Your works are original and beautiful, your talent evident. Keep it up. Hi Barbara, I just wanted to stop by to thank you for all of your kind reviews. I really appreciate you taking the time to do so. I love your work, especially your beautiful watercolors! Hi, Barbara, Great store you have here! Love your watercolour paintings - and your latest Holidays cards are very nice too! Very inspiring to browse through your work! I love your watercolors! You are very talented. I wish you much success and many sales! The personalized holiday snowflake card incorporating the Sheriff's star as one of the snowflakes was absolutely beautiful and received by the law enforcement staff as "the best card" ever received. Thank you for sharing your wonderful talents, Barbara. A grateful customer. You are so talented I am just happy for you! I love your designs, they are wonderful! 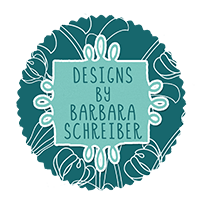 Barbara, your cards are a delight and your store is so interesting. the pink & turquoise HOPE card that ryckycreations choose was particularly lovely! Such beautiful cards, rich in colour and verse. Thanks so much for your great review of my garlic bread recipe card. I'm a big fan of your from way, way back! Barbara, your "poppy blue" has an ethereal, soul lifting quality. Merci. Hello Barbara, I truly enjoyed visiting your store and your beautiful cards. I love your creativity and talent - a true delight! Your cards are beautiful indeed, Congratulations on Design Of The Day! Your cards are beautiful! Congratulations on your card being chosen "Design of the Day!" Barbara, Oooooh so many lovely cards in here! Love that fuzzy snowman, eg,687539 and he speaks many languages I see! :) I have seen many of your lovely cards on GCU but this is my first visit to your store, you make spectacular greeting cards with your images and paintings, really lovely and impressive work. Hello Barbara I have looked through some of your cards and am amazed at your work. They are so pretty.... You must work 24/7 to have so many in your store. All of your cards are created so beautifully with great attention to even the finest of details. Beautiful work, Barbara! Just stunning! Wow! You are a true artist! Beautiful collection of greeting cards with unique, gentle and sophisticated paintings! Lovely cards :) Especially love the "castle" series! Ordered one of your lovely Easter cards. I saw your Robin card and had to track it down. So, so very beautiful! I only wish I had a tenth of your talent with watercolor! I can always tell when a new card is one of yours. Your colors are coordinated in a way that is so uniquely you. It is easy to see your fascination with the world in your cards. I feel like I am looking through your eyes when I browse the shop. Great gallery. Love your work. What a great variety of cards. I love the looseness of your watercolors. (I try to be loose and it never seems to work --- so I just admire it). your watercolors are absolutely gorgeous! Hi Barbara, Just had to come back and take a look at your art. Not sorry I did. Your store front now looks as lovely as one of your paintings! Beautiful job. You are one talented lady. What a talented artist you are! Beautiful cards... I absolutely love the "Don't Worry... Sparrows"
A fantastic selection of beautiful images made into terrific cards. I know I've told you before, but it bears repeating...I love your Artistic Style. It seems that whenever I look over the new cards, I can always pick out yours immediately. It's like meeting an old and very dear friend. Wow all your watercolors are just amazing! will be back soon. I love your artwork - You have a great store - Danke ! you have great art! "KEEP LOOKING UP "
Great store front love the labor day card. Barbara, I really love your work. This is absolute beautiful work! The "May this house be blessed" one is particularly stunning. That is the one that caught my eye first. Barbara, I believe I',ve seen your work in the watercolor magazines and have always admired it.........perfect for fine arts greeting cards.